Freddie the Freeloader’s Christmas Dinner (aka Red Skelton’s ‘s Christmas Dinner) is a TV special that premiered on HBO on December 13, 1981. The program stars Red Skelton (1913 – 1997), an American entertainer with national radio and TV acts, including The Red Skelton Show. In our stage version of the show, Freddie the Freeloader prepares to scrape together money and enjoy a Christmas dinner with his equally poverty-stricken friend, Professor Humperdo, at one of New York’s fancy restaurants. Stopping along the way, he visits a hospital and entertains some children for Christmas. The special includes drama, comedy, miming, and music for which Skelton was known. Our production also includes holiday caroling by several of our community’s best singers. 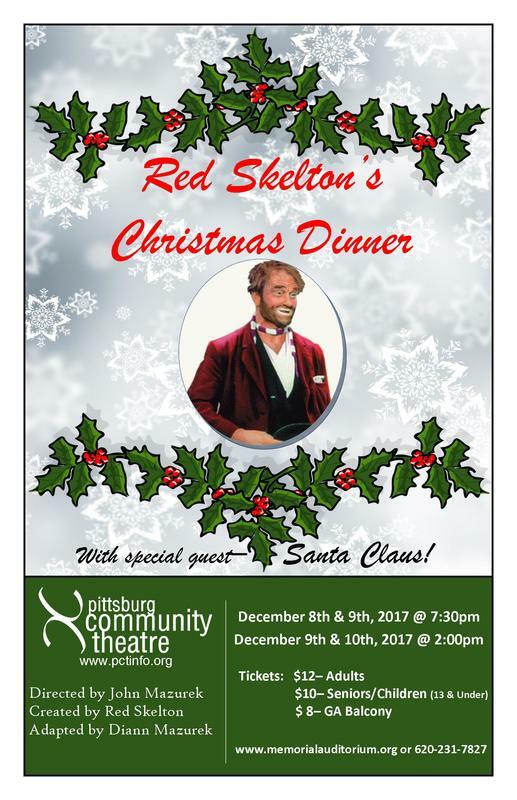 Make plans to see this unique holiday-themed production just in time for the holidays.